The story of West Tampa’s former Balbin Brothers Cigar Factory dates back to 1904 when the three-story brick Romanesque Revival style building was built for the Samuel I. Davis & Company. Prior to coming to Tampa, brothers Samuel and Fred Davis had become known as one of New York’s most successful cigar manufacturers. Developed by Hugh MacFarlane and incorporated as a cigar industry suburb of Tampa in 1895, West Tampa struggled to attract cigar manufacturers until the completion of the Fortune Street drawbridge and streetcar line across the Hillsborough River. By 1900 it had grown to become the second largest city in the county due to incentives such as permanent free rent for cigar factories and cheap housing for factory workers. While West Tampa’s fortunes were booming, the Samuel I. Davis & Company’s use of the building came to a quick end when the factory suffered major damage due to arson on October 2, 1910. A year later, the property at 1202 North Howard Avenue was acquired by brothers Gabriel, Benigno and Miguel Balbin. Immigrants from Asturias, Spain the Balbins arrived in the New York during the 1870s. Employing hundreds, Balbin Brothers produced hand rolled cigars under various labels including Elisardo, El Matrimonio, La Flor de Rousseau, Ella De Vine, Balbin, El Sidelo, and Flor de Balbin. For many years, the building was known as the “Elisardo” factory. In 1915, the Tampa-Cuba Cigar Company purchased Balbin adding a water tower and expanding the factory, making it the largest cigar manufacturer in West Tampa. Tampa-Cuba continued to operate the factory until its demise in 1934. By this time, the Great Depression, competition from mechanized factories and the increasing popularity of cheaper cigarettes had become too much to bare. Following Tampa-Cuba’s closure, the DeSoto Brewing Company acquired the building and converted it into a brewery to take advantage of Prohibition being repealed in 1933. Opening in late 1934, DeSoto brewed four brands, De Soto Beer, Colonial Ale, Gasparilla Beer and German Type Lager. Unfortunately, De Soto’s business never took off, closing in 1936. For the next 38 years, the building was utilized by several businesses including the Empire Mercantile Company and Fremac’s clothing manufacturing company. From the late 1970s to 2005, enterprises operating there included EverWear Products, Inc., Royal Kitches, Inc. and Daystar International. Of more than 200 factories in operation during Tampa’s early 20th century cigar manufacturing heyday, only 24 of these unique industrial building remain standing. Luckily, this 35,000 square foot factory appears to be headed for better days. After a few years of abandonment, it was acquired by Desai’s My Hospitality Hotels for $1.4 million in November 2016. 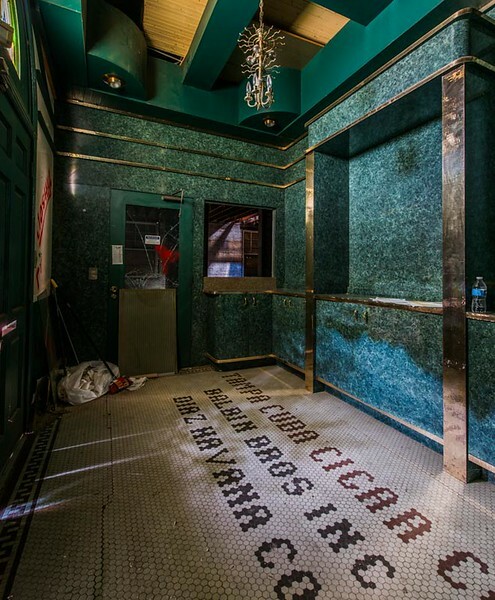 A partnership between a Tampa hotelier and a Louisiana-based hospitality company, future plans for the Balbin Brothers Cigar Factory involve the structure becoming a 70-unit boutique hotel.